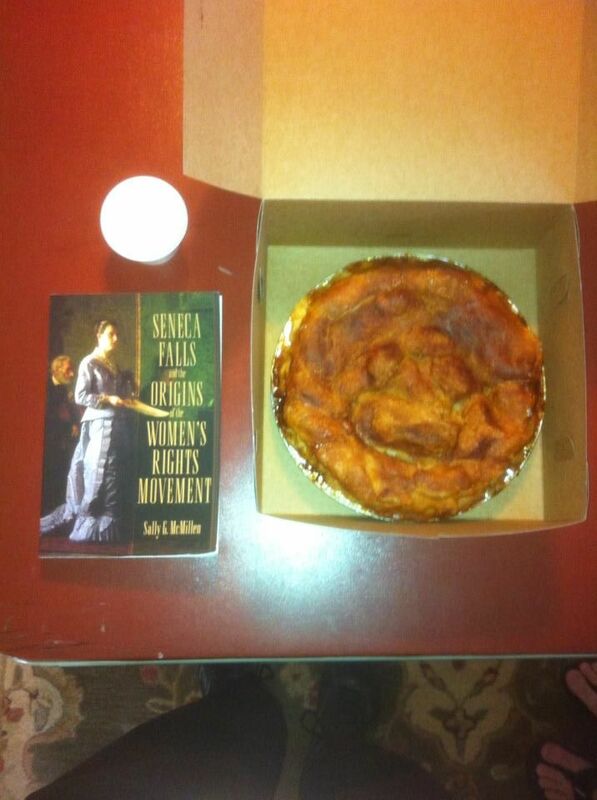 The Rolla Area Citizens for Women (RACW) Book Club just finished our discussion of “Seneca Falls and the Origins of the Women’s Rights Movement.” The peach pie from A Slice of Pie was delicious, too. Our next meeting will be Saturday, Dec. 7th at 1pm. We will discuss the first half of “The Feminine Mystique” by Betty Friedan and have another pie from A Slice of Pie.